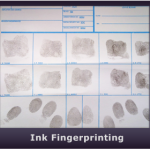 Live Scan & Ink Fingerprinting in San Diego – Walk-ins Welcome! San Diego Live Scan & Ink Fingerprinting. San Diego Authorized Fingerprint Facility! Ink Card Fingerprinting – FBI FD-258 Hard Copy. Livescan Electronic Fingerprints in San Diego. FBI Channeler – Expedited FBI Background Reports. FAST VISA/Travel FBI Security Clearance. FBI & CA DOJ Background Record Reports. Ink Card Fingerprint Rolling Fee Only $18.00. Live Scan Rolling Fee Only $23.00. 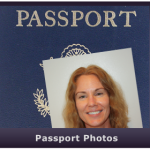 US Passport Photos & Foreign Visa Pictures. Walk-ins Welcome | Mobile Fingerprinting. 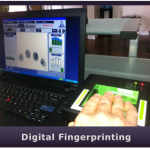 Fingerprinting – Livescan & Ink fingerprint specialist with Mobile Fingerprint Services throughout San Diego. Alive Scan fingerprinting is San Diego’s most convenient and accurate live scan & ink fingerprint service provider. Fingerprints are most often required as a condition of employment, licensing, certification or Police Clearance letters. Livescan is required when the criminal background check is for employment and licensing within the state of California. Ink fingerprinting & FBI Channeling (e-fingerprints) is the method used for FBI level background checks which are often required for out-of-state or federal employment. Alive Scan is now authorized to electronically expedite FBI Criminal Background Checks as an FBI Channeler for San Diego. Other reasons for being fingerprinted include FBI History Summary Request, Departmental Order, VISA/Immigration, Police Clearances, Teaching Abroad, Study Oversea, CCW and Personal Record Reviews Whatever the reason, our authorized San Diego live scan service provider is here for you! 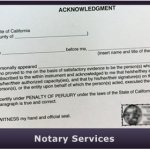 Law offices around San Diego trust Alive Scan for our Mobile Live Scan Services for their attorneys since we are experienced, accurate and have the lowest rejection rate around. We have already fingerprinted over a 1000 attorneys in the San Diego area since the first of June. 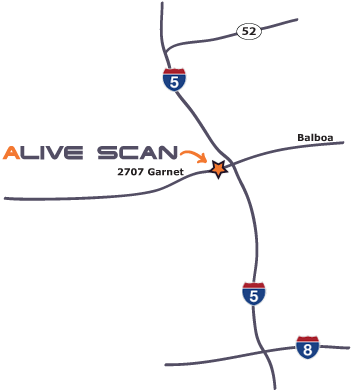 Alive Scan also provides mobile live scan events for the San Diego Bar Association & La Jolla Bar Association. In addition, well over 100 law firms and law offices throughout San Diego have utilized our convenient mobile live scan services for their in-house attorneys. Please contact us for more information. Our fingerprint location provides easy access to and from the 5 freeway. So whether you live in Pacific Beach, La Jolla, Clairemont, Mission Beach, Ocean Beach, Pt Loma…. or you just travel the 5 Freeway, our San Diego live scan & ink fingerprint facility is for you. Alive Scan also offers mobile fingerprinting services in San Diego, plus notary services as well as Visa & passport photos. We are experienced fingerprint technicians and use only top-of-the-line live-scan equipment to capture accurate fingerprints from even the hardest applicants. We stress this because some live scan vendors have high rejection rates which result in long delays and having to get re-fingerprinted. Alive Scan recognizes the urgency of completing the livescan process right “the first time” in order to start employment or to become licensed or certified in the state of California. Call Alive Scan today! Alive Scan provides mobile fingerprint services for your convenience. Do you have a group of employees, students or volunteers that need fingerprinting? Please call to arrange an appointment for our rover fingerprint technician to appear at your location. Please contact us at 858.349.0204 for more details.